The United States of America (USA) is a federal republic composed of 50 states, a federal district, five major territories and various possessions. The capital of USA is Washington D.C. and the largest City is New York. The 48 contiguous states and Washington D.C., are in central North America between Canada and Mexico. At 3.8 million square miles (9.842 million km2) and with over 320 million people, the country is the world's third or fourth-largest by total area and the third most populous. It is famous for its influence over finance, trade, culture, military, politics, and technology. US degrees are recognized around the world for their academic excellence and enhanced learning experiences. American universities include many prestigious institutions that are respected globally. The US consists of more than 4000 Universities & Colleges which offers different courses for various programs & degrees. Getting an American degree is the key to a successful future. The connections you make and the work experience opportunities will open the door to a prosperous and rewarding career. The USA has one of the world's best university systems, offering flexible education opportunities at over 4,000 institutions. The United States is known for its higher education opportunities, which explains why so many American students earn certificates, associate, bachelor's, master's and doctorate degrees each year. Studying in the United States is a rewarding experience, but navigating your way through day-to-day issues can be a challenge. There are numerous benefits for any student who chooses to study abroad: different classroom experiences, new languages and diverse cultures. Studying in the United States allows F and M students to experience the diverse American culture. Universities in the U.S. pride themselves on being at the forefront of technology, research and techniques, and in making the best possible equipment and resources available to their students. Even if your field does not directly involve science or engineering, you will have opportunities to become skilled in using the latest technology to conduct research, as well as obtain and process information. You will find ways to stay connected with researchers, teachers and experts in your field all over the world. There will be many opportunities for you to gain practical, career-related experience during your US university studies. Cooperative (co-op) education and internship programs are widely available and often integrated into program curricula to make it easy for you to build up your resume before graduation. It is temporary authorization for practical training directly related to your major field of intended study. "Practical training" can include employment, internship experience (paid or unpaid), cooperative (co-op) education experience, practicum participation, etc. You can apply for CPT during the regular academic year (you must remain registered full-time) and during your annual vacation quarter. CPT may be part-time (20 hours per week or less) or full-time (more than 20 hours per week). If you accumulate 12 months of full-time CPT authorization, you lose your eligibility for Optional Practical Training (OPT), another type of employment authorization for F-1 students. Part-time CPT and fewer than 12 months of full-time CPT authorization does not affect your OPT eligibility. OPT is meant to give an opportunity for students to work in their field of study. 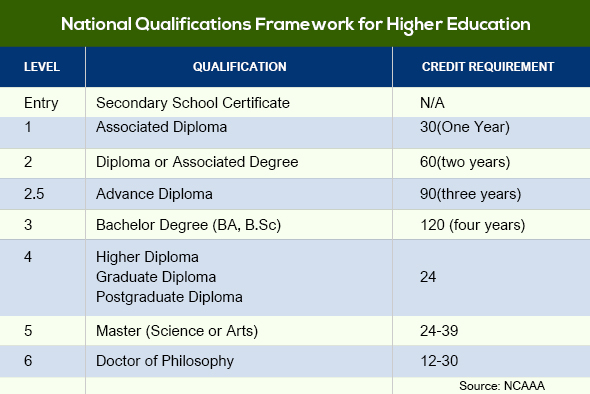 It is typically given for 12 months for all degree holders, with an option to extend for 17 months for STEM (Science, Technology, Engineering and Mathematics) Degree holders. There are two types of OPT called pre-completion OPT and post completion OPT. Pre-completion OPT is something that can be utilized by students to work in their area of study before the graduation. Whereas, post-completion OPT is to work in their area of study after graduation. If the student chose to use pre-completion OPT, the respective amount of time is deducted from 12 months OPT time period. You can work part time up to 20 hours on pre-completion OPT, when school is in session and you are enrolled full time and full time during summer breaks. If you choose to use pre-completion OPT, you will lose that amount of time from the overall 12 months OPT. It will be 1 month for 2 months of part time OPT (Fall and Spring terms) and 1 month for 1 month of full time OPT (summer terms). To utilize OPT and get Employment Authorization Document (EAD), you will have to fill an application form and send to USCIS. You can apply for OPT 120 days before the start date of the intended employment. You will lose your status in US if you don't have OPT started within 2 months grace period. You can work for anyone in OPT, there are no restrictions, but it must related to your course field. It is an option that US Govt provides to international students for finding their right employers. General OPT is given for 12 months duration, if you have not used it before graduation and work on CPT full time for 12 months . In 2008, USCIS announced a new set of rules stating that if you belong to STEM Category you can get an extension for another 17 months for a total OPT of 29 Months. Doctorate - 2 to 7 years program. Master's - 2 Years Program. Bachelor's -3 or 4 years program. The Academic Term depends on the available seats in the University and their enrollment. Most of the US Universities are having two semester intakes, some are having tri semester. Intakes vary from university to university. Cost of living in USA is very low compared to other Countries. The cost of living in the United States will vary depending on which region of the United States that you live in and whether you live in an urban, rural, or suburban area. Minimum expenses per year vary from 6,000 USD to 20,000 USD. Tuition Fees vary from 6,000 USD to 50,000 USD per year. VISA Application Fees - 160 USD. SEVIS Fees - 200 USD.